Prcm50 wrote: I'm going to try and get a 1973 UK pressing matrix B3 if I can find a good copy at the right price. Good luck - I got an A3/B3 for £20 before the vinyl revival got hot (2009) - for some reason no one else bid on it (from a Cardiff shop). All posters and stickers near mint packaging and audio. The 30th Anniv is pretty close in sound but found the 2011 disappointing though preferable to an 80s pressing I had years ago. My first copy bought in 74 (A5/B5 ?) had pressing flaws that became intolerable as I upgraded so got binned - pressings of this Lp were pretty variable in quality back in the day (nothing changes). I have an early 70's German SQ addition, sounds incredible, bought it new back in the day. The immersion release cd has all versions of available mixes, stereo, 4.0 , 5.1, LCPM, It's not vinyl but sounds great. Welcome to the Machine also available. F***in' hell, those are going for $165 on ebay! You got a bargain! Yeah, I just got an A5/B5 copy from my workmate, and he scalped me at £30 because "that's what he can get for it" or "that's what they're going for now"
Reason I got it from him was because he could vouch for its quality. I had picked up an A4/B4 copy for a tenner a couple of years ago, but it sounded rough so I sold it on ebay. Hey all. I won this copy on eBay for $24.50 plus shipping. All I have now is a copy of the label. Did I do alright or did I overpay? edagger74 wrote: Hey all. I won this copy on eBay for $24.50 plus shipping. All I have now is a copy of the label. Did I do alright or did I overpay? Im happy. It sounds fantastic. A little warped but no skipping. Picked up a copy of EMS-80324, a Japanese (re? )pressing which does not appear on Discogs. 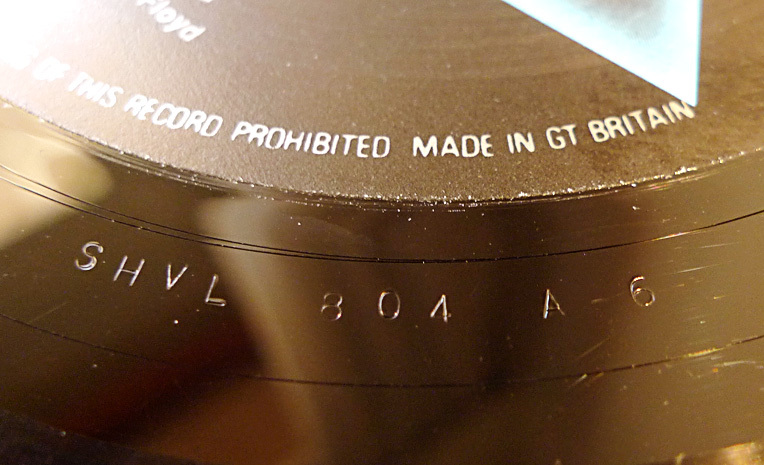 It says "A Harvest Recording" on the label rather than "An EMI Recording". Both versions I can find on Discogs for this catalogue number say "An EMI Recording" on the label. I'm hoping it's the same as both of those are rated highly for sound quality. I paid $48 plus shipping for it, so a bit of a gamble, but on paper, this pressing's pedigree appears to be solid. We'll see. Wondering if anyone has this variant and can opine on its sound quality. A couple of months ago i purchased the 30th annv.DSOM on ebay,28 bucks brand new,gave it a spin,the sibilance made it unlistenable.Was aware of others reporting this issue but wanted this because all analogue remaster and i needed a better copy than the one i had.Others mentioned it could be a pressing that is cartridge dependant for proper tracking perhaps a microline stylus but im using a AT440mlb.Was getting ready to go for the 2016 EU remaster but last night had the thought to adding more tracking force from the 1.4 that it is set at.This morning added 1/2 gram,OMG,there it is,in all its glory. "Money" sounds amazing on this copy,so for me not a pressing issue but tracking one.Between this and the 20th annv.cd im good. I got an UK A3/B3 in a local record store a couple of weeks ago, it wasn't complete with posters and postcard but the record itself was in good condition. I paid £10 for it. If you want a perfect and complete A3/B3 then I guess it's far more expensive. Do you know what is the exact press of this LP? one who thinks he's an expert says eighties! Looks like Harvest 5th pressing. 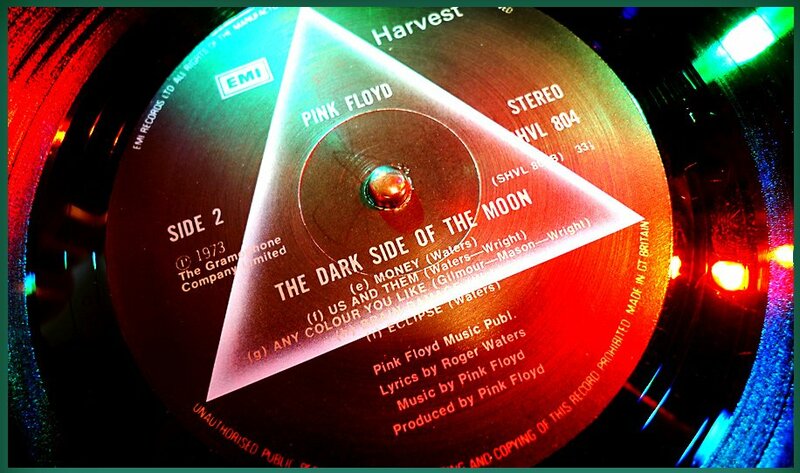 thank you Progman2112, Harvest 5th pressing december 1973 ? FYI check this site out. This was the album that started the maddness for me at the age of 12 and I saw them in Cleveland Ohio in the old Lake Front Municipal Stadium with 90,000 + at the age of 16 in 1977 so that is why my avatar is of this album and I have not stopped listening never gets old. Barakapdub posted a video comparing to six different pressings of that album, sans the original UK Harvest pressing. Out of the six, I prefer the original US pressing the best, which I also own that and the first Mobile Fidelity Sound Labs pressing. This is exactly the type of information exchange that makes me love this community. Thank you both.